Clinical pharmacy is currently not practised in Namibia. To introduce the concept and skills pertinent to this area of practice, pharmacy undergraduates at Namibia’s new School of Pharmacy are introduced to clinical pharmacy from their second year, and progress from theory to practical application on the wards. 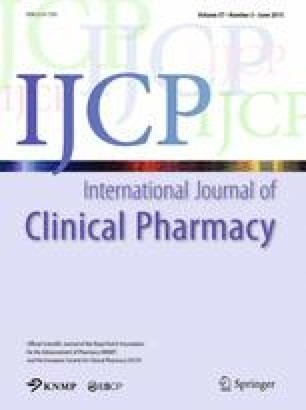 This approach has led to students having a greater understanding of clinical pharmacy and how it can be applied in practice. Introducing clinical pharmacy progressively at an undergraduate level may help to stimulate interest in the speciality for future career progression. Mr Dan Kibuule, Head of Department, Pharmacy Practice and Policy, for his support and assistance in implementing the clinical training within the programme. The position of the clinical instructor was funded by a grant from the US Centers for Disease Control and Prevention. The World Bank [Internet], Washington DC, c.2014 (cited 2015, January 6th). http://data.worldbank.org/country/namibia. Trading Economics [Internet], New York City, c.2014 (cited 2015, January 6th). Available from: http://www.tradingeconomics.com/namibia/public-spending-on-education-total-percent-of-government-expenditure-wb-data.html.